Our company has mastered the art in providing Air Compressor Blower Maintenance Service. With the help of experts, we are competent in offering Roots Product Maintenance Service. These services are completed by experts who use the advanced techniques and reliable machines. Due to their timely completion and low rate, these services are extremely admired in market. Backed by highly accomplished personnel in this arena, we are offering Tractor Mounted Blower Repairing Service. A team of dexterous personnel works in close coordination with our patrons to impart these services as per their needs. Provided services are largely valued amid our patrons for their on-time execution. We are highly admired by customers for providing Blower Repairing Services. Professionals hold much experience in it and provide this repairing service. In addition to this, these presented blower services are more satisfying. With the help of diligent and deft professionals, we have been able to offer our precious clients qualitative Blower Repairing Service. 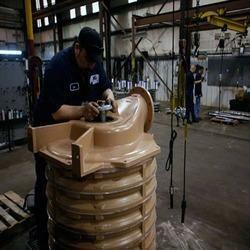 We also offer site analysis and repair services of twin and Tri lobe air blowers of any make.